These are areas where the densest amount of senior citizen (65 +) crashes occurred as well as where you find a high number senior housing locations and senior centers. These are areas in the city where there is a high cyclist KSI (killed or severely injured) and few bicycle facilities. 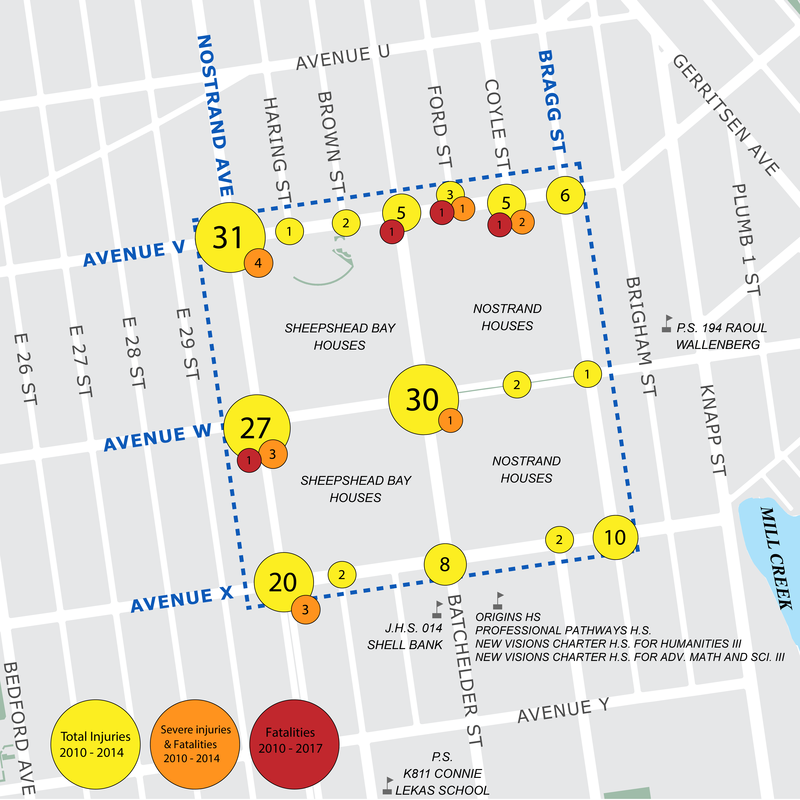 Nostrand Ave is a Vision Zero Priority Corridor. These are corridors in the city where the most pedestrian KSI (killed or severely injured) occur, usually on arterial roads. In Brooklyn, 50% of pedestrian KSI occurred on just 9% of the boroughs total mileage (2015). There has been a total of 157 injuries in this area between 2010 and 2014. There has also been 4 fatalities in the area (2010 - 2017).